To some email is nothing more than a line of communication. To marketers worldwide, email is a profit-rich channel that can put any business on the map. That’s why email marketing remains as one of the most essential strategies companies need to constantly improve. Huffington Post reports that “For every dollar spent on email marketing, brands generate nearly $41 in sales, which outperforms mobile marketing ($10.51 per dollar spent), social media ($12.71), display advertising ($19.72), and search engine marketing ($22.24)”. This makes email marketing as one of the most affordable yet effective means to engage with your customers. So if you think email is a dying art, think again. Perhaps it’s how you implement your email marketing strategy that needs revamping. Here are fail-proof ways to improve your email marketing campaign. Last year’s mistakes can be a goldmine for this year’s success. 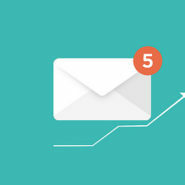 Look back on how your email marketing campaign went in 2015. Check your open and click through rates. Which subject lines got the most clicks? Which emailer got the most engagements? Which ones got the least subscription rates? Is there an underlying theme among those emails that hit the most marks? This review can be done a lot easier if you have a customer relationship management (CRM) system. If not, then it might just be the time to finally invest on one. Segmentation can make or break your email marketing efforts. Without the right and sufficient means to truly distinguish who your target market is, you’re practically wasting your investment on the wrong customers. The fact is the more targeted your emails are, the more likely it is your conversion rates will skyrocket. So focus on your segmentation. Look for more ways to get to know your target market and really hit the jackpot. Try tracking down how your customers engage in your newsletters or social media. Gather data through website registration surveys or questionnaires. When you improve this part of your strategy, you’re finally giving potential customers the right reason to open your email. One of the worst ways companies waste their resources on email marketing is using unkempt email lists. Understand that every month or year, more email addresses become inactive for a number of reasons. If you keep sending emails to these addresses, then you are simply driving your dollars down the drain. The key is to clean up your lists as often as needed. Only use the addresses that are still significant to you and the product or service you’re selling. Otherwise, you’re once again selling to the wrong person, which is a waste of time, effort and money. Today’s emails are now equipped with automatic spam filters. In fact, more than 100 billion emails are flagged as spam every single day. If you don’t want yours to end up in a targeted customer’s unwanted folder, then do away with words that trigger filters. Terms like “free money”, “MLM”, “big bucks” or “no credit check” can all compromise the credibility of your content. So avoid using these spam words for yours to always land on your market’s inbox. Here’s a fun fact: More than half of all emails are opened using a mobile or other handheld devices like tablets. This year, the ratio is only expected to grow higher. So if yours is an email that is solely designed to be opened on a personal computer, then you could be in trouble. Stop alienating a big bulk of your potential customers. Optimize your design to be used for various devices. You want your market to always and readily open your email wherever they may be. Plus, you wouldn’t want them to wait too long or open an email where they need to zoom in or move their fingers around for better readability. Content continues to reign as king. It is still what will distinguish you from the rest of the competition. It is also what will help you achieve your long-term and short-term goals as a company. Remember, email marketing doesn’t give you a chance to communicate physically with someone. It does however, have the power to make communication feel personal to them — provided you are coming up with the most compelling and engaging content there is. These are two processes you should never do without when it comes to email marketing. Testing what works and what doesn’t helps avoid making costly mistakes. Moreover, it ensures you’re sending out the right email to the right market. Reviewing allows you to see where you currently stand. It tells you which campaigns are currently flourishing or failing. These two are the strongest means of understanding whether or not your strategy is winning.